Instructional Coach Veronica Enriquez has created some awesome formatives to share with teachers in the past and here she share one that you can draw inspiration from no matter what subject you teach! 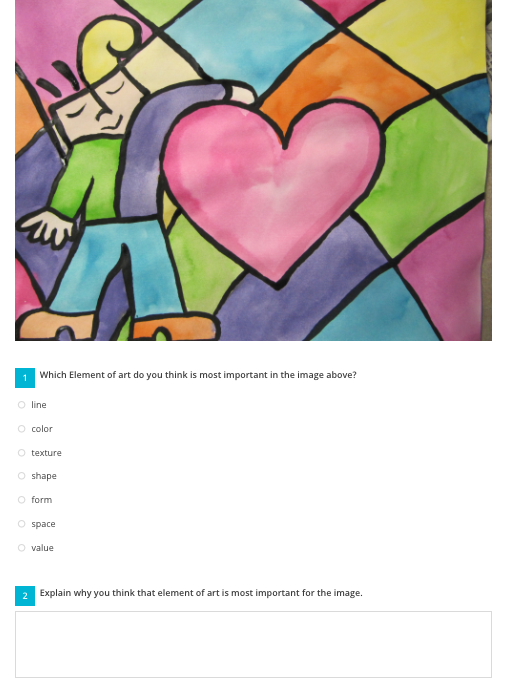 Click here to add a copy of Veronica's formative "Elements of Art" to your dashboard on goformative.com ! If you've got your own creative ways you use the different Formative question types, share them here!